When Audrey (Mila Kunis) turns 30 her entire world gets turned upside down. First, she is questioned by the CIA, who then informs her that her recent ex-boyfriend (Justin Theroux) is a spy. When she confronts her ex about being an undercover agent, he admits it and asks for her help with his current mission. Audrey enlists her best friend for 12-years, Morgan (Kate McKinnon), to join her on this undercover assignment. However, what these two best friends don’t know is that they are about to be entangled in an international conspiracy. Director Susanna Fogel takes a different direction with this Action-Comedy. She tends to focus on the comedy rather than the action. Even when the action scenes are happening they are edited together with comedic moments between Audrey and Morgan. However, all action sequences performed in this Film are high-cctane. The Spy Who Dumped Me could’ve come off as a generic entry in the genre, but thanks to its Script, written by Fogel and David Iserson, its more than that. This is all thanks to the strong and charming buddy storyline between Audrey and Morgan. What makes this friendship between the two women great is how accurately it depicts the bond between females. 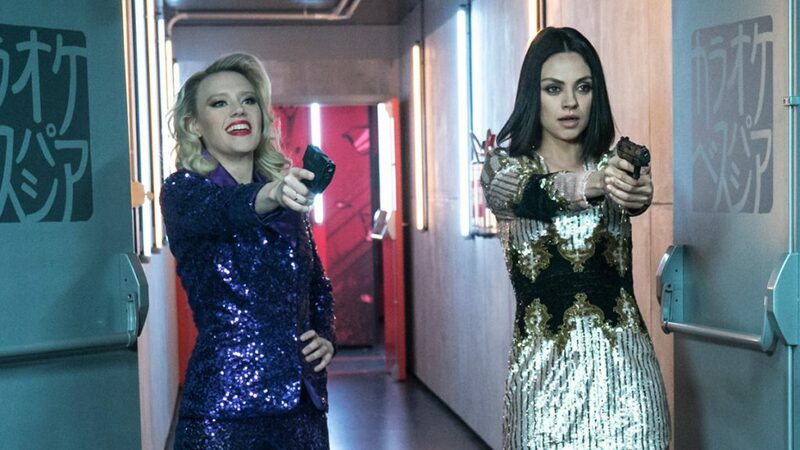 However, this unbreakable friendship would fall apart is not for the sparkling chemistry between Mila Kunis and Kate McKinnon. The two beam with energy throughout the Film and look like they are having the time of their lives. The Spy Who Dumped Me offers a lot of laughs, however, the majority of them are thanks to McKinnon’s superb delivery. It comes as no surprise that McKinnon is the standout here, but even in knowing that, she excels past expectations. Kunis also provides laughs with her overthinking, anxious Audrey. Kunis had to navigate between being a complete badass and worry-wart, something she succeeds in. eOne Films release THE SPY WHO DUMPED ME on Friday, August 2, 2018.